Just a reminder folks. 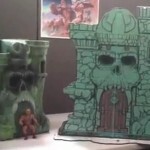 There’s 1 week left to get your pre-order in for the Masters of the Universe Classics Castle Grayskull. Pre-orders have to be in by November 12, 2012 11:59 p.m. PT. 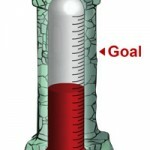 See the below image for an update on how close they are. If you want to pre-order, you can do so by CLICKING HERE. This actually seems fairly accurate in terms of scale to the MOTUC figures. I would have imagined it being of rather large size anyway. I'd be interested to know what features it will have too. As cool as that is I doubt they will reach the number needed to make this happen. We will see. Can I just have the foam model? I'll be quite happy with just that. 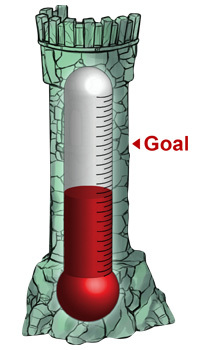 Ken, they are already halfway to the required amount. That thing is HUGE. WAY to big for my needs. I, too, would be happy with the foam backdrop! While it makes sense for the hard-core collector, and the cost-to-plastic ratio is far better with Grayskull compared to the typical MOTUC figure, the Playset seems too "kiddie" for me. It's way too expensive for the kids' playroom, but too big for the collector's shelf. Those who preordered it, I look forward to seeing your opinions on the massive piece next year. 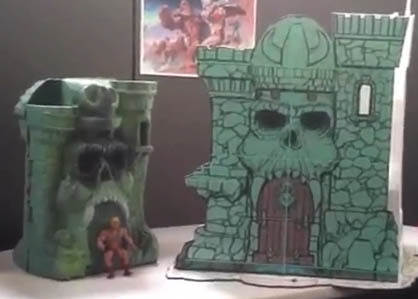 I loved my Grayskull back in the early 80's. I really really really want to bite on a preorder for this. The price tag, where will it go, and will I even be able to diplay it questions keep me from pulling the trigger. I mean I barely found a space for Classics Voltron and have a Fort Max preordered for early next year. Well, you could preorder at BBTS as they don't require any money down. It's not due out until late next year so you have plenty of time to save up for it. Just 1 week left to go for pre-orders. Just one week left. IDK, I think ToyGuru should do some more overrated youtube promos about how we need this. Considering it worked so well with the lackluster 2013 offerings. ... I'm sorry. But no. So, doesn't look like it's going to make it. Bummer. Wanted to see it.